This new research report is freely available in e-format (.pdf). 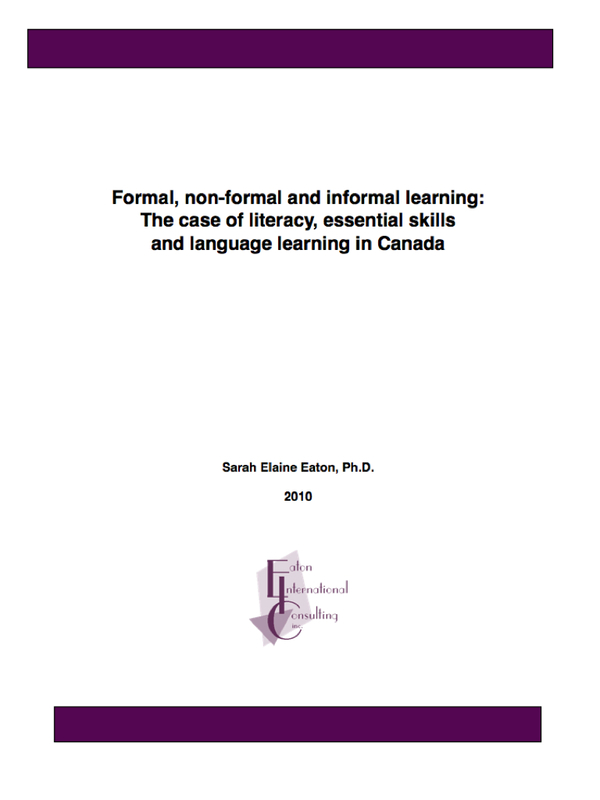 This research report investigates the links between formal, non-formal and informal learning and the differences between them. In particular, the report aims to link these notions of learning to literacy and essential skills, as well as the learning of second and other languages in Canada. There is value in learning of all kinds. Learning is a lifelong endeavour. An interdisciplinary approach is valuable. Formal learning – This type of learning is intentional, organized and structured. Formal learning opportunities are usually arranged by institutions. Often this type of learning is guided by a curriculum or other type of formal program. Non-formal learning – This type of learning may or may not be intentional or arranged by an institution, but is usually organized in some way, even if it is loosely organized. There are no formal credits granted in non-formal learning situations. Informal learning – This type of learning is never organized. Rather than being guided by a rigid curriculum, it is often thought of experiential and spontaneous. Examples are given for literacy and essential skills, as well as second and other languages for each of the categories mentioned above. Finally, the examples of systems developed value different types of learning using asset-based approaches are given. The tools developed by Human Resources and Skills Development Canada are explored for the case of literacy. The Common European Framework of Reference for Languages developed by the Council of Europe is considered for second and other languages. New! August, 2010 – Check out the companion report: Formal, Non-Formal and Informal Learning in the Sciences. 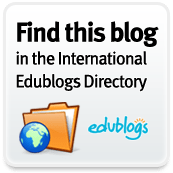 Formal, non-formal and informal education: What Are the Differences? If you found this post helpful, please click “Like” below and share it with others. This entry was posted on Tuesday, February 16th, 2010 at 4:16 pm and is filed under Communication, education, languages, Literacy. You can follow any responses to this entry through the RSS 2.0 feed. Both comments and pings are currently closed. the types of education available globally and their values. I just down load one of the books you recomend us to read, I whish I find the way to teach my children without grammar at the begining. my students are between 5 and 8 years old, I teach them one hour a day. Best regards and thanks to share all you know with us. This is a quick and informative read. I am intrigued by the more proactive approach to learning being adopted in Europe. It’s important to recognize all of the things that individuals achieve, not just the shortcomings. Is your title really supposed to be the clase? I haven’t finished reading the report so don’t know if it’s a word play between case and class? Thanks, Tammy. I corrected the post title.